The Vermont Student Assistance Corporation is a non-profit company trying to help make college dreams a reality for Vermonters of all ages. 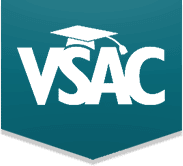 Founded in 1965, VSAC serviced federal student loans until August 2016, when they decided to discontinue their servicing contract with the federal government. At that point, all federal loans were transferred to Nelnet. VSAC now focuses on their community outreach programs and their VSAC Advantage Student Loans for Vermont students. Their outreach programs help students of all ages, from middle schoolers and high schoolers to adults looking into college or career training services. VSAC helps students look for and apply for financial aid, including grants, scholarships, and loans. They even offer their own 529 plan for saving for college. The VSAC Advantage loan is a private loan with competitive interest rates, which are often lower than the federal PLUS loan interest rate. The loan program also comes with a Loan Coach, so every borrower entering repayment will get free in-depth and personalized debt-counseling. Overall, borrowers who have had VSAC as their servicer haven’t been too unhappy — or at least not unhappy enough to flood the internet with complaints. There was a relatively low volume of complaints publicly filed with the Consumer Financial Protection Bureau and Better Business Bureau, but the ones that are out there might hint at more general problems with VSAC loan servicing practices. What Can You Do If You Have Problems With VSAC Student Loans? When you’re dealing with a company, especially one that handles large amounts of money, you depend on them to be consistent and follow their own policies. When they don’t do that, it can be hard to trust them to handle your loans correctly. One such policy is about deferment while the borrower is in school. For their private loans, VSAC gives the option to defer until after graduation, start making payments immediately, or make interest-only payments while in school. Instead, one borrower had to fill out deferment forms every 3 months on just one of their loans. All others were in deferment and needed no maintenance until repayment would begin after graduation. This borrower worried that they would miss a payment if they forgot to fill out the paperwork or it didn’t get processed in a timely manner. Another borrower experienced inconsistencies when changing their autopay account. First, VSAC did not notify the borrower that they implement a three-day waiting period after any request is made. For the first autopay change, VSAC put their account in forbearance until the next payment was due, which would use the new autopay amount. The borrower did not approve the forbearance and pointed out that it would add more time to their loan repayment. The second time they changed their autopay, VSAC accessed an old checking account instead of the current one, resulting in overdraft fees charged to the borrower because the account had no balance. Many student loan borrowers want to get rid of their loans as fast as possible — no one wants their loans looming overhead. Targeting specific loans is a great way to attack your student loans and pay off your balance quicker. To do this, you make extra payments and request that the servicer apply them to the loan of your choice. But sometimes, a servicer does not apply them as requested. Though their website welcomes special instructions when sending in payments, one borrower was told that the VSAC policy is to apply extra payments toward the loan with the lowest interest. Though VSAC responded with belief that there was a misunderstanding, it’s alarming that the borrower could not work out an acceptable payment strategy with VSAC. Another borrower had worked out an arrangement to pay their loans weekly instead of monthly and to put the extra payments toward the principal of the highest interest loan. After several months of this, the borrower was informed that they could no longer follow that payment schedule because of the “administrative burden” it placed on VSAC. When payments do go through as planned, you generally expect your balance to decrease at a predictable rate. Unfortunately, that’s not always the case. After making monthly payments of $400–$500 for years, one borrower noticed that their balance was barely decreasing. Suspecting that their loan was not being handled as promised, they reached out to VSAC. Another borrower with a history of on-time monthly payments complained that their balance was increasing. Without the ability to pay more each month, their pleas for help were met with hostility: VSAC refused to help and instead threatened to garnish wages if the borrower stopped paying. The borrower, who only wishes to be able to save for retirement, feels their student loan payments are going straight into the garbage. A lot of issues happen universally across all the servicers. Things like mishaps with payments, communication problems, and paperwork delays seem to happen regularly. One borrower was making payments to rehabilitate a defaulted loan. They got payments in when they could, sometimes early. One early payment wasn’t counted for the intended month; instead, it went toward the previous month. VSAC considered that a missed payment and deemed the rehab a failure, forcing the borrower back into collections to start the process over. VSAC responded to the complaint on CFPB that they felt they had acted in line with the law. Another borrower successfully got their loans into an income-driven repayment plan. After two years of payments, a collection agency notified them that their loan was in default. Confused, the borrower thought it was a scam call. Later, another collection agency provided details about the loan they claimed was in default. The borrower finally figured out what had happened. One of their loans had not been included in the IDR. VSAC never notified them of missed payments or impending delinquency. The borrower set up payments to the collection agency, and that should have been the end of the story. However, in the middle of making auto payments to the collection agency, VSAC switched the account to a different collection agency without notifying the borrower, who had to set up new autopayments to that new collection agency. In the end, the borrower was offered a settlement from the collection agency and took it, relieved to be free. If VSAC is your servicer, you likely have private loans. The only way to lower private loan payments or transfer them to a different servicer is to refinance. Think carefully before doing so, though. Refinancing will get you a new loan with different terms and interest rate. Consider the new terms thoroughly before going through with a refinance. And do your homework to choose the best refi company to deal with. If you have federal student loans and have trouble with your servicer, whatever your servicing company is, there are some things you can do to alleviate your situation. First, if your payments are too high, look into consolidating or enrolling in one of the many income-driven repayment plans. You’ll pay your loans longer, and you’ll pay more in the end, but the monthly payments may fit your budget better. In an IDR, your payments will be capped at a percentage of your discretionary income, and any balance remaining after 20–25 years will be forgiven. Have you ever had any of these problems with your current student loan servicer?